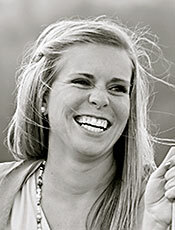 My husband and I lived in Columbus, Ohio when we were first married. In Columbus, there is a famous ice cream/frozen yogurt shop called Jeni’s. I love their unique variety of flavors. One of my favorite flavors is their creamy lavender… I still dream about it at night! Finding this recipe brought me back to those wonderful memories. Even though the major flavor in this creation is lemon, I hope you enjoy the splash of Lavender! What a perfect sugar-free delight for a hot summer’s day. 1 In a small saucepan bring fat-free half-and-half just to boiling. Remove from heat; add dried lavender. Let stand 30 minutes. 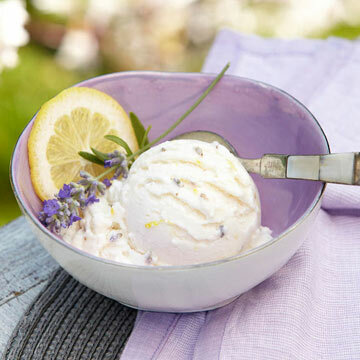 2 In a large bowl combine yogurt, the 2 tablespoons lemon peel, the lemon juice, honey, and the lavender mixture. Cover and chill 1 hour. 3 Freeze chilled mixture in a 2-quart ice cream freezer according to the manufacturer's directions. Serve at once for a softer frozen yogurt. For a firmer mixture, place in an airtight container; freeze 30 to 60 minutes. If desired, garnish servings with additional lemon peel, lemon slices and/or fresh lavender sprigs.